A little over a week ago, most pollsters and pundits predicted that Hillary Clinton would be elected president. These predictions were so confident, in fact, that most health-care experts didn’t seriously consider that Donald Trump — who has pledged to “repeal and replace” the Affordable Care Act (“Obamacare”) — could, in fact, be elected. Now that this has happened, there’s growing speculation — and even panic, from some quarters — about what Trump’s election will mean for the millions of people who have health insurance because of the law. Trump’s election came at a time when the Affordable Care Act had come under renewed criticism for the cost of health insurance premiums. As noted last month in a PBS NewsHour article, the average cost of premiums for 2017 for plans sold on the federal insurance marketplace — which covers 39 states — is set to rise an average of 25%. Furthermore, fewer insurers are offering plans for next year, and in some states, only one insurer will offer plans on the exchange. But it’s important to note that because of the premium subsidies received by most people who buy plans on the federal marketplace, actual out-of-pocket costs for most people will rise by much less than 25%, and will even stay the same for many. As noted in a Commonwealth Fund report from earlier this year, 66% of enrollees in the federal marketplace with a yearly income of less than $30,000 paid less than $125 a month in premiums, after receiving federal subsidies. 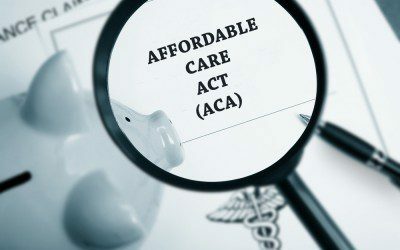 Furthermore, a report issued late last month — which received much less media attention than the just-announced premium increases — shines a light on some of the Affordable Care Act’s successes. The report, by the National Center for Health Statistics, shows that the percentage of uninsured adults between 2013 (before the Affordable Care Act was in full effect) and 2015 dropped in all income categories: poor, near-poor, and not poor. As noted in a HealthDay article on the report, the uninsured rate for poor people dropped from 40% to 26%. Among near-poor people, it dropped from 38% to 24%, and in not-poor people, it dropped from 12% to 8%. Of course, insurance is meant to lead to better access to health care, which the report also found improvements in between 2013 and 2015. More people reported having a regular place to go for their health care — among poor people, this rate rose from 67% to 74%, and among near-poor people, it rose from 71% to 76%. And the percentage of people who reported skipping necessary medical care because of costs dropped in all groups: from 17% to 12% among poor people, from 15% to 11% among near-poor people, and from 5% to 4% among not-poor people. As noted in an interview last week in The Wall Street Journal, President-elect Trump has stated that he would like to keep some parts of the Affordable Care Act — notably, the provision that allows adults under age 26 to stay on their parents’ plans, and the one that prohibits insurers from discriminating against prospective enrollees with preexisting medical conditions. Repealing most of the law except for these provisions, however, would most likely result in a near-total collapse of the individual insurance market. As noted in a New York Times article published yesterday, before the Affordable Care Act, a few states tried prohibiting discrimination based on preexisting conditions without requiring everyone to have insurance, and without offering subsidies to make insurance more affordable — basically, what would happen if most of the Affordable Care Act were repealed. The result was a dysfunctional system: Since healthy people knew they could wait until they got sick to buy insurance, most didn’t buy it. This left the insurance pool full of older, sicker people, which resulted in sky-high premiums — in New York State, they averaged over $1,200 a month between 2011 and 2013. When the Affordable Care Act went into effect in 2014, these premiums dropped by more than 50%, to an average of less than $600 a month even before federal subsidies. Given that Trump and Congressional Republicans are committed to repealing the Affordable Care Act — but haven’t yet presented a replacement plan — what would you like to see replace the Affordable Care Act’s insurance mandate and subsidies? Do you think tax credits to buy insurance — which many leading Republicans support — would be an adequate replacement? How should the problem of healthy people not buying insurance until they get sick be dealt with — by reallowing discriminations based on preexisting conditions, by prohibiting this discrimination only among people with no gaps in health coverage, or by some other means? Do you think whatever replaces the Affordable Care Act will be better or worse? Leave a comment below!